Causeway Coast Holiday Park is located in one of the most beautiful parts of the world. It was described by Lonely Planet as the world's top area to visit in 2018 with timeless beauty and attractions. 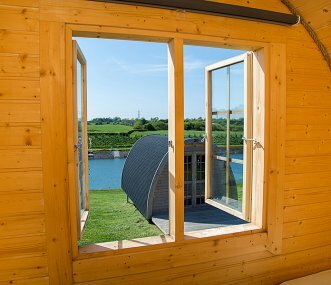 Range of luxury lakeside glamping pod options perfect for individuals, families and large groups. On-site cafe, fire pits and barbecue facilities.